Lowers cholesterol: Papayas are rich in fiber, vitamin C and antioxidants prevent build up cholesterol in the arteries. Boost your immunity: It acts as a shield to resist an array of infectious diseases. Single papaya meets more than 200 percent of your daily requirement of vitamin C.
Good for eyes: Papaya has vitamin A in abundance, which helps prevent them from damage. And improves digestion: In today’s era, it is nearly impossible to avoid eating bad food for your digestive system. It helps to relieve menstrual pain in Women: An enzyme called papain helps regulate menstrual the menstrual period. To promote the growth of hair: Papaya is very useful in order to maintain healthy hair. Vitamin A in them, hair in the production of sebum, it is used which is an important compound in order to moisturised maintaining smooth and shiny. After working hard for the day, it is a good idea to go home for the plate of Papaya which helps to reduce stress. This fruit is rich in some nutrients such as vitamin C that can keep you free from stress. 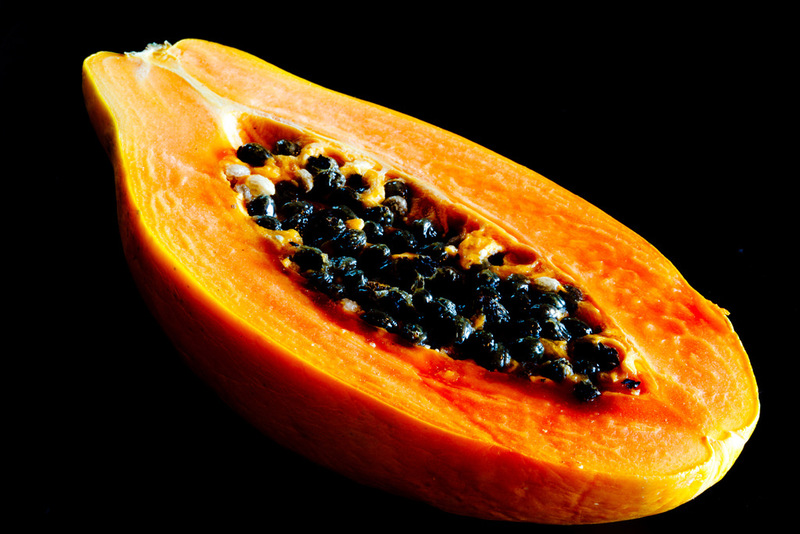 Pregnant ladies should not consume raw papaya as it can cause abortion.